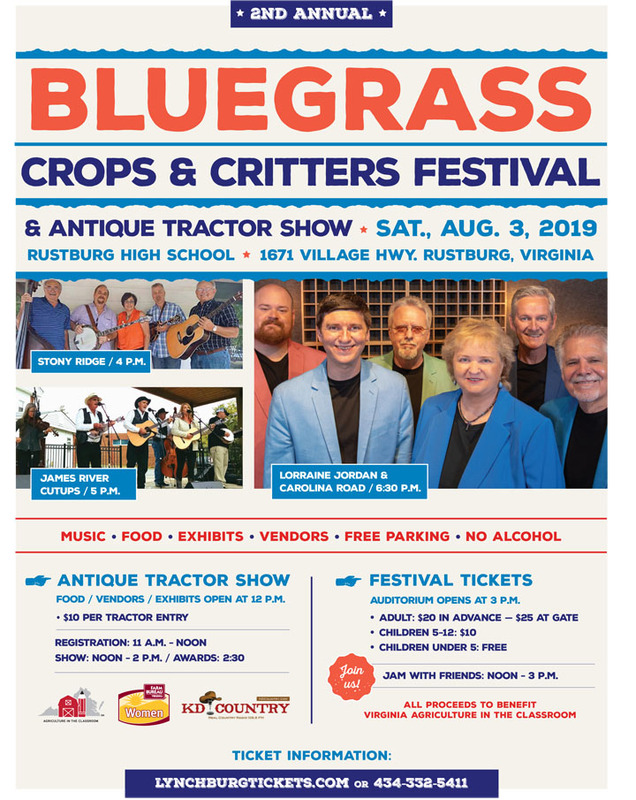 The Campbell County Farm Bureau Women's Program presents The Second Annual Bluegrass, Crops & Critters Festival, featuring Stony Ridge, James River Cutups and Lorraine Jordan & Carolina Road. There will be lots of great music, food, vendors and fun! This is a benefit to raise money for Agriculture in the Classroom (AITC). All proceeds will benefit area schools and help promote the importance of agriculture to children.